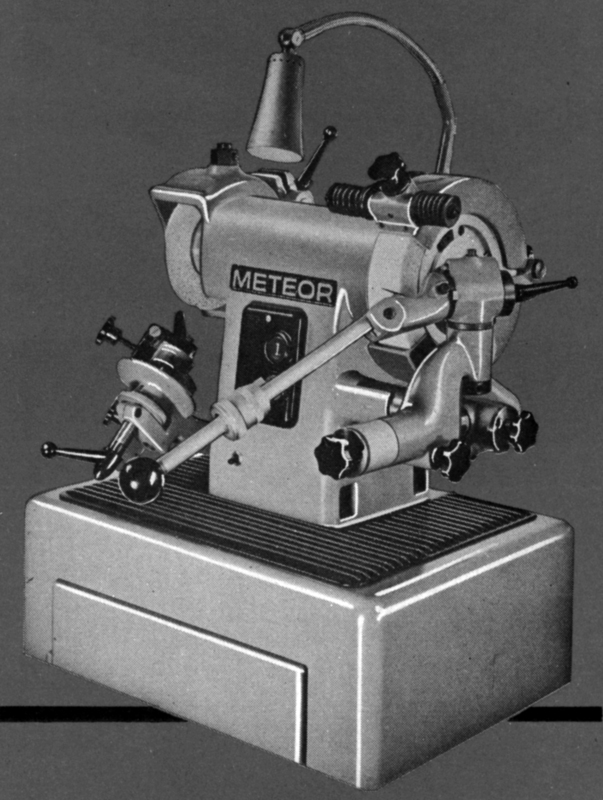 Still manufactured in modern forms, the Swiss-made meteor drill grinders have all been of high quality and great effectiveness. 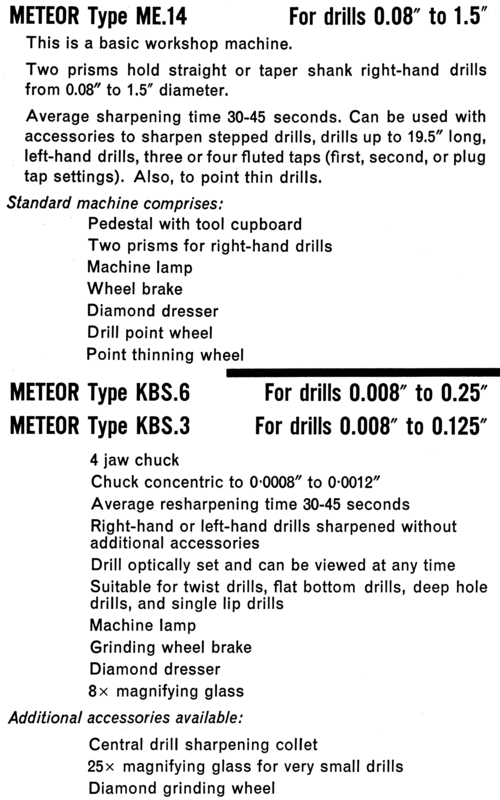 Current during the 1970s and 1980s, the Models KBS.3, KBS.6 and ME.14 shown below were all equipped a standard with 3-phase motors, the KBS type running at 5,000 r.p.m and, on the much larger capacity ME14, at 2000 r.p.m. 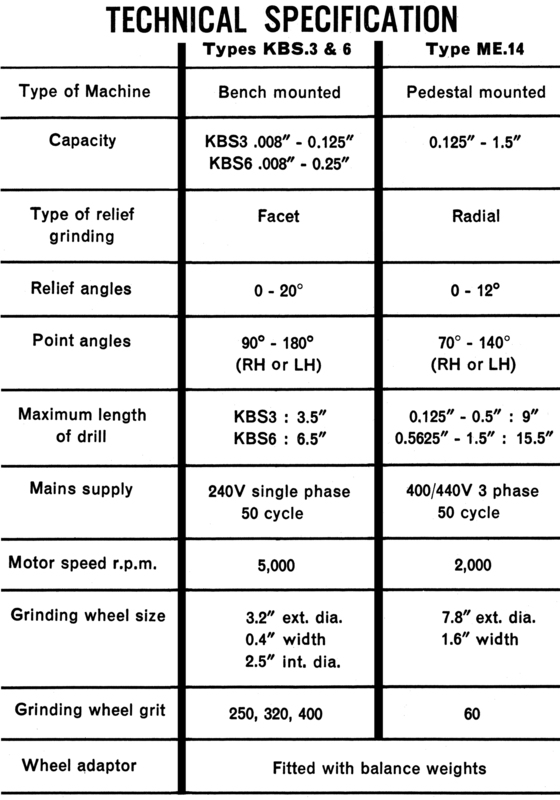 Intended only for very small drills, such as though used in horological and instrument work, the single-wheel KBS.3 had a capacity of 0.008" to 0.125" and the KBS.6 (of exactly the same design) of 0.008" to 0.25". 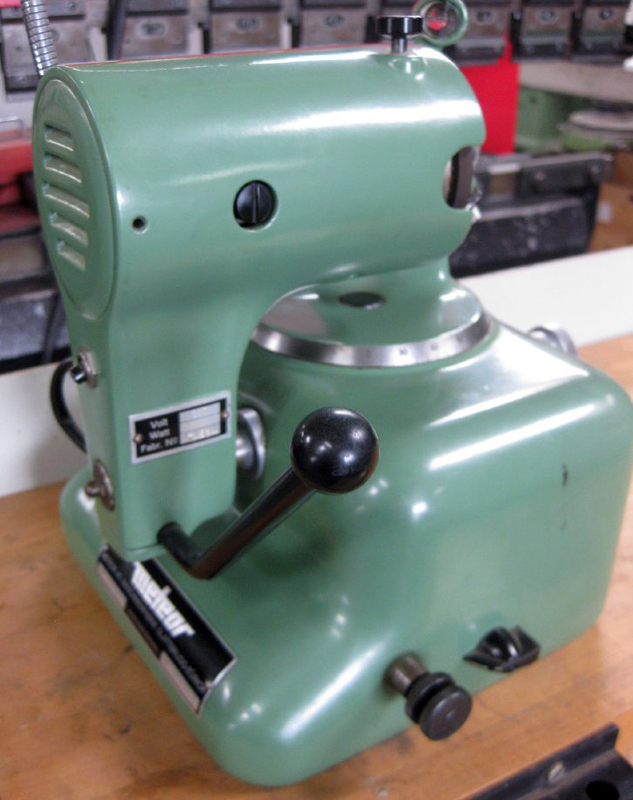 Each was fitted with a high-precision, self-centring 4-jaw chuck concentric to within 0.0008" to 0.0012" and could sharpen a drill in 30 to 45 seconds. 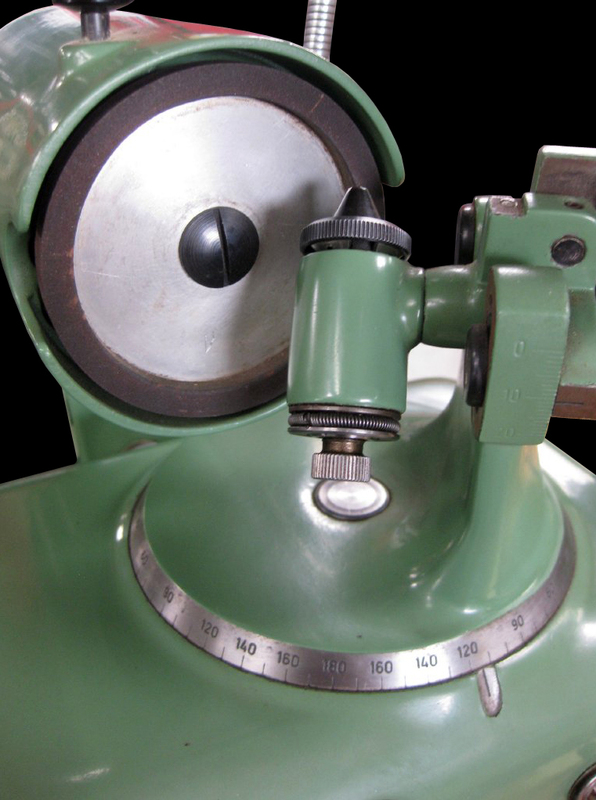 Drills were set optically, using an 8X magnifying glass and as the wheel ran at very high speed, a lever-operated brake was fitted as part of the standard equipment. 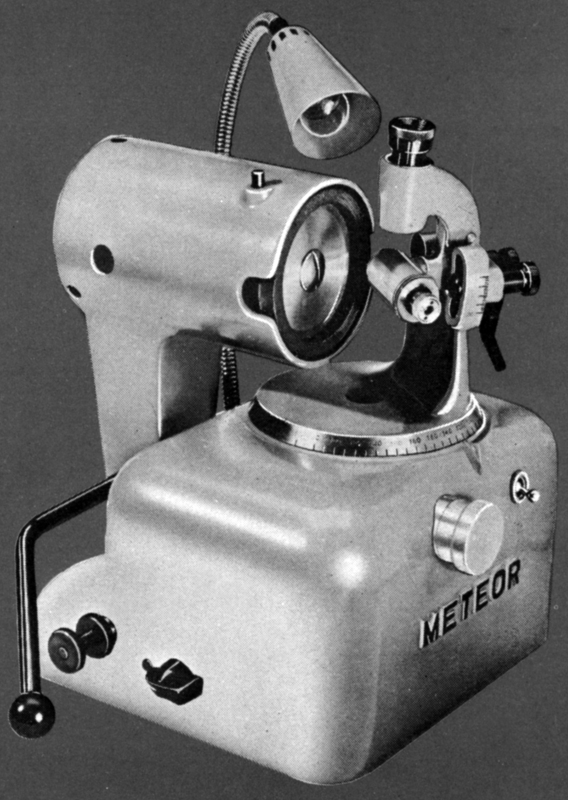 Also included with each machine was a diamond dresser and a machine lamp. 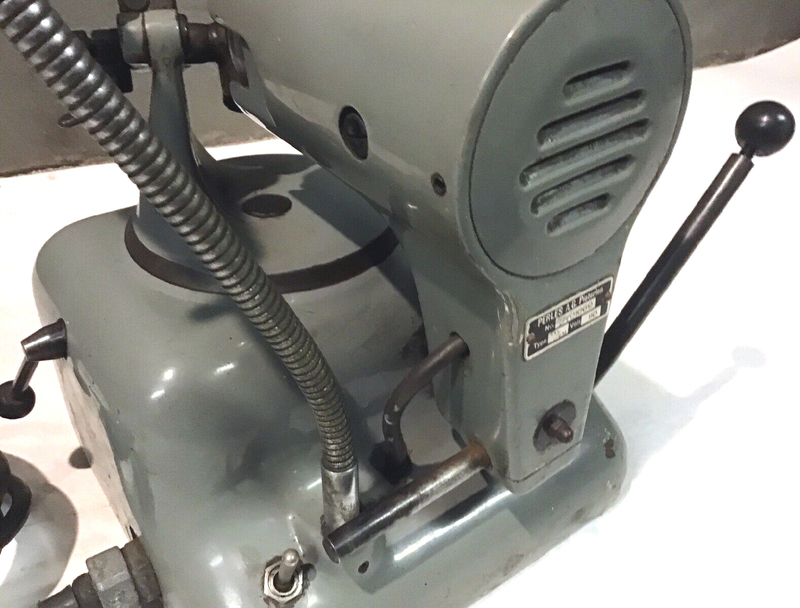 Intended for more general workshop use, the twin-wheel ME.14 was normally supplied mounted on a short plinth with a tool-storage cupboard and could take drills up to 1.5" in diameter and 19.5" long, these being clamped into V-shaped holders. 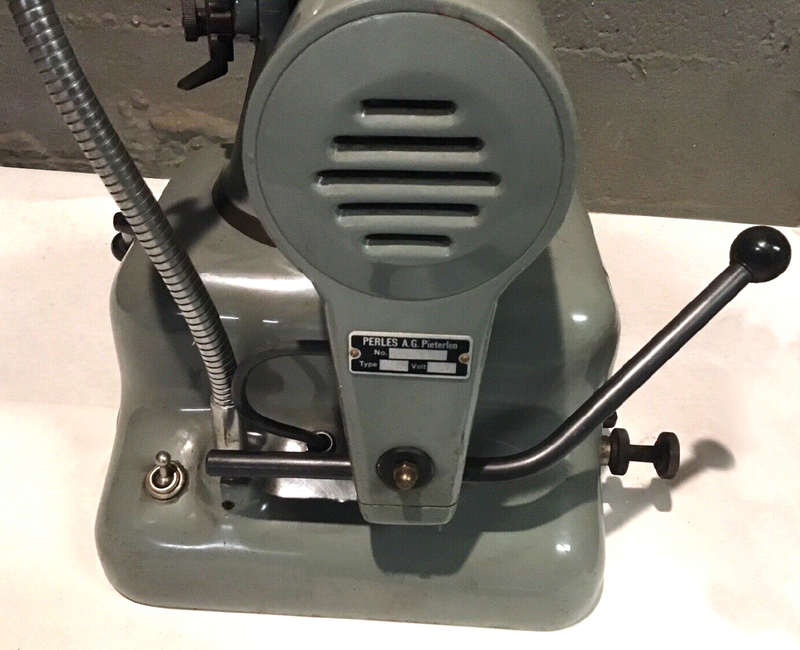 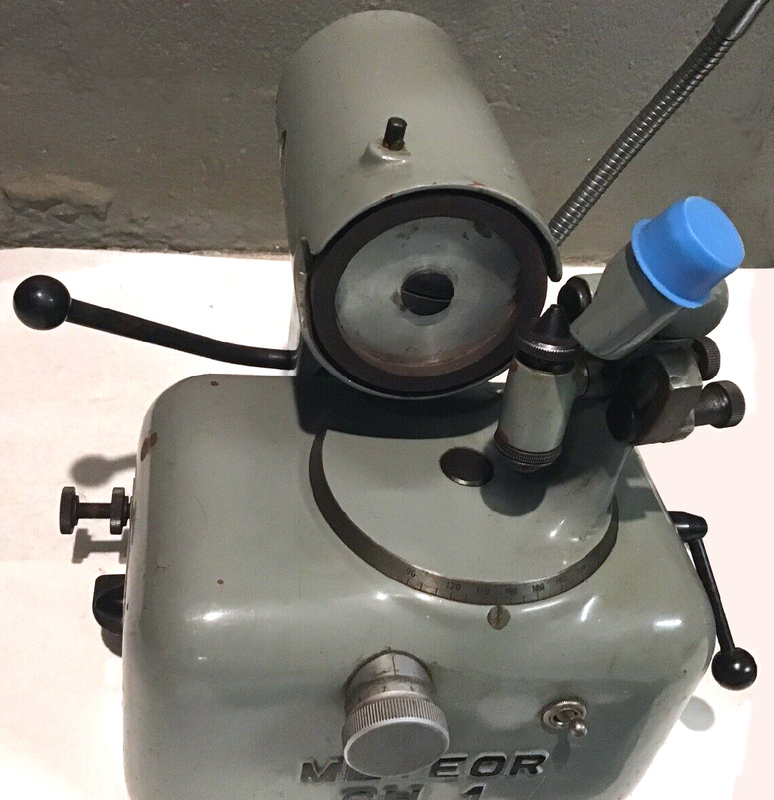 In addition to a machine light and diamond dresser, the ME.14 was equipped, when new, with drill point and point-thinning wheels.